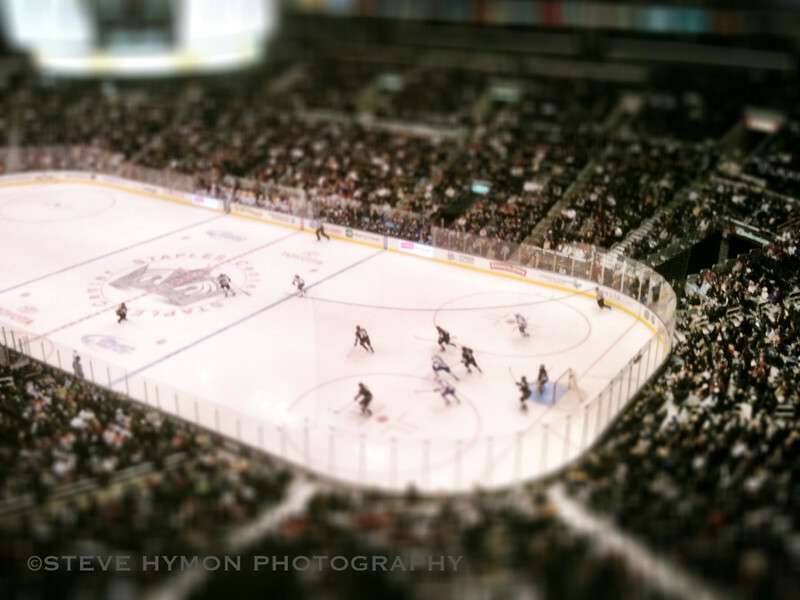 I miss pro hockey and taking interesting iPhone pics from the nosebleeds at Staples Center, where the Kings once played. 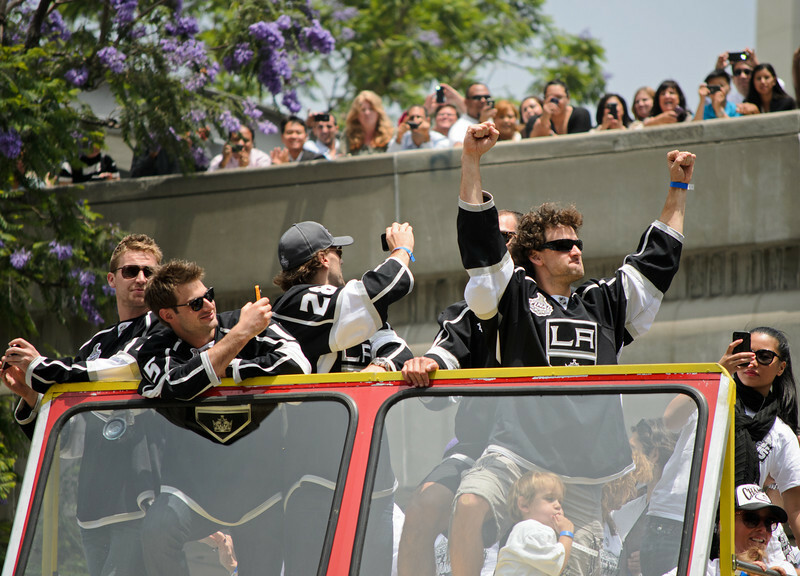 In the middle photo, Kings winger Justin Williams is celebrating winning the Stanley Cup in the victory parade in downtown L.A. Click to see 'em larger. Too bad that supreme wanker -- NHL Commissioner Gary Bettman -- decided to crap all over this season because he can't get the league's finances in order. But hockey soldiers on in many quarters, including the beer leagues. 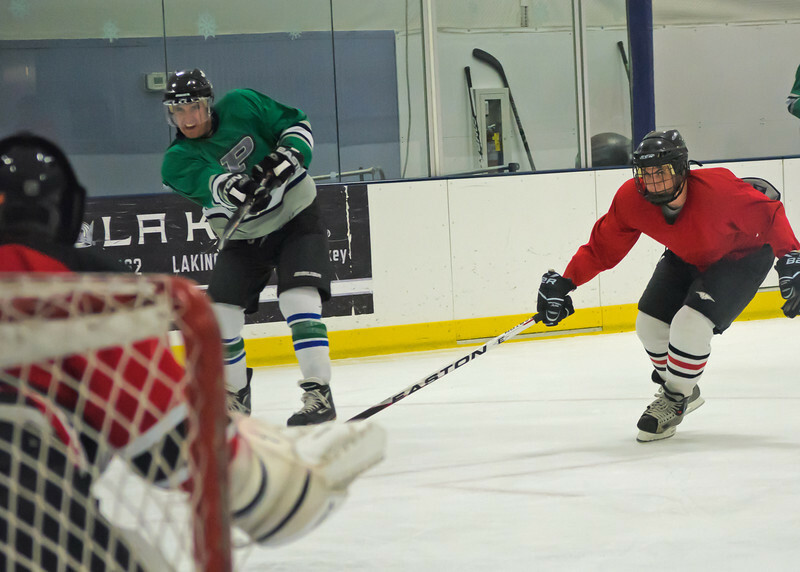 I took the bottom photo of my beer league team playing over the summer. Hockey is, by the way, a very difficult sport to shoot. I tried using my regular 55-200 mm lens on my Nikon D5100 with very mixed results -- it was hard to shoot fast enough (1/1000th or higher) to freeze the action and still expose the image properly. The bottom photo was taken with an ISO of 3200 and shutter speed of 1/640 -- the reason there's some noise and the photo isn't super crisp. There's an easy fix for that: go buy a really fast f/2.8 telephoto lens like the kind the pros use! I haven't but at least managed to get a few decent shots. Also, here are some good tips from pro shooter Don Smith and on this Flickr discusion board. Check out more of my photography on my SmugMug site and I'd be remiss if I didn't mention you can buy prints and/or merchandise of all my photos (hey I gotta pay for that next lens/camera/computer). And follow me on Twitter.